Lisa has a Bachelor of Science in Kinesiology and a certificate of Applied Human Nutrition from Simon Fraser University. She then completed her Masters of Science in Physical Therapy from the University of Alberta. 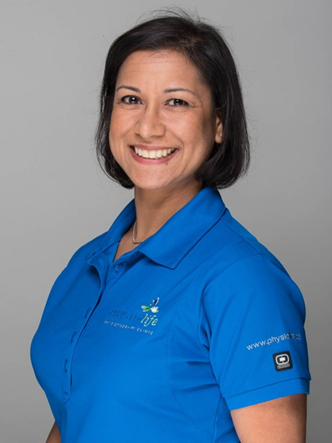 Currently, Lisa is a Fellow of the Canadian Academy of Manipulative Physiotherapy, an active member of Healthy Dancer Canada, and member of the International Association for Dance Medicine and Science (IADMS). She also completed a course in the Clinical Management of the Dancer Patient at the Harkness Center for Dance Injuries in New York. In addition to her Dance training, Lisa has also completed numerous other post-graduate courses and certifications, including the Acupuncture Foundation of Canada Institute program and Gunn IMS (intramuscular stimulation). Lisa also is planning to pursue credentials in Clinical Pilates. Lisa has spent the majority of her career working in private practice – including ten years in Edmonton. While Lisa treats a variety of injuries, she has a special interest in dance medicine and running injuries. Over the past ten years Lisa had the opportunity to work with a significant number of young dancers. Lisa’s passion for dance began at a young age when she participated in jazz and ballet. Lisa now enjoys a variety of activities including yoga, hiking, running and skiing.